There is something quite thrilling about hearing voices singing and speaking from more than a century ago. Those crackly, trebly vowels and consonants, like faraway voices over an old telephone, preserved on cylinder and discs like insects in amber, are just as hauntingly fascinating today as they must have been rousing for those who listened to them in the nineteenth and early twentieth centuries. Hearing the voices of historic figures on record brings them back to life. Richard Martin and Meagan Hennessey, the Grammy Award-winning team of Archeophone Records, have made audio archaeology their life’s work. 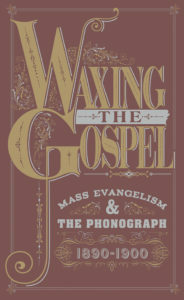 With their latest release, Waxing the Gospel: Mass Evangelism and the Phonograph, 1890-1900, the duo raises an already high bar by offering 102 selections and a nearly 400 page hardbound book that together explore an important, if sadly ignored, subject: the evangelism movement of the late nineteenth century, the religious songs and singing the movement produced, and how the songs became material for professionals and amateur musicians and singers during the dawn of phonograph recording. 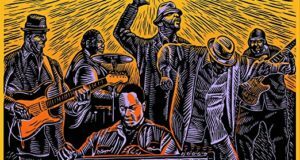 As such, Waxing the Gospel may well be Archeophone’s most historically significant project since the 2005 release of Lost Sounds: Blacks and the Birth of the Recording Industry, 1891-1922. That project was an aural companion to Tim Brooks’ landmark book of the same title. I consider Waxing the Gospel to be a text supported by CDs rather than the other way around. The book, resplendent with rare illustrations, artist biographies, and an extended essay on how entertainers as well as evangelists and other religious leaders incorporated sound recording into their repertories, is essential reading. It will be an especially valuable reference for researchers of religious music and for historians seeking a greater understanding of the soundtrack to the Second Great Awakening. Archivists and music detectives alike will find instructive the book’s stories of how the music was discovered and preserved. The hymns and songs that appear on Waxing the Gospel are performed by famous and not-so-famous evangelists, gospel hymn singers, bands, commercial recording artists of the era (stage artist Stephen Porter cut some particularly commanding sides), and personalities such as phonograph pioneer Emile Berliner, who recites The Lord’s Prayer on an 1890 recording. Well known evangelists Dwight Moody and Ira Sankey (“The Sweet Singer of Methodism”) are captured on record from 1898-1899; they are credited as the first to use the word “gospel” in print (1870) to describe their sacred hymns. The three CDs offer some of the earliest, if not the earliest, recorded examples of church evergreens such as “I Surrender All,” “What a Friend We Have in Jesus,” “Nearer My God to Thee,” and “Pass Me Not, O Gentle Savior.” From the number of artists who covered it, “Rocked in the Cradle of the Deep” must have been a very popular hymn in the 1890s. It is a special treat to hear the voice of Fanny Crosby, the celebrated blind hymn writer whose songs are still sung worldwide, reciting “Threescore Years and Ten.” Up to now, no recorded example of her voice was known to exist. But she and others were recorded during an August 1897 camp meeting at Ocean Grove, New Jersey, by Henry Heath, who captured the program on cylinders and subsequently hosted “gospel’phone meetings” where gatherings participated vicariously in the camp meeting. Technological interactivity is ubiquitous now but it certainly wasn’t then. These rare selections can be found on CD 3. While the great majority of releases are by white artists, the set includes “Swing Low, Sweet Chariot” by the Standard Quartette. This 1894 cylinder, thought to be lost forever, represents one of the earliest recorded examples of African American jubilee quartet singing. 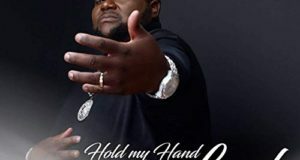 One strains to hear the singing, as the cylinder has been corrupted by the thick residue of time, but the bits and bobs that come forth give a sense of how the spiritual was performed in post-Reconstruction America. Although Archeophone ekes every ounce of fidelity it possibly can from the original source material, the audio quality of the 102 tracks varies according to the condition of the cylinder or disc used. Most cylinders were not meant to last forever but instead to be used and replaced. Further, the recording techniques of the last decade of the 1800s was understandably elementary. Nevertheless, the audio reproduction on CD is remarkably crisp and eminently enjoyable. Passionately sung sides by Winfield Weeden and his chorus (from the 1897 Ocean Grove session) are among the most pleasing in the collection. 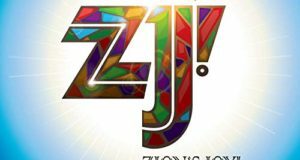 Waxing the Gospel ought to earn Archeophone another Grammy for an invaluable contribution to the history of American music generally and sacred music in particular. Is this the same Richard Martin that was a pop songwriter guitarist singer that became a Christian recording artist in Bay Area in San FRANCISCO in 70s? James SUNDQUIST.